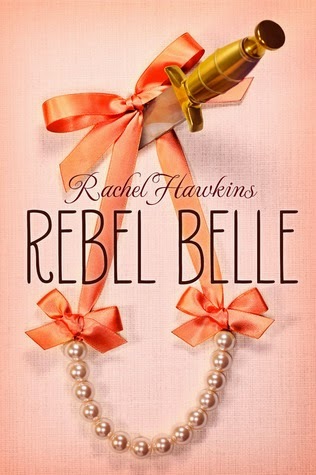 Harper is the quintessential Southern belle and school leader. She has been preparing for the debutant ball but first she is ready to accept the title of homecoming queen. But during one last check of her hair and makeup at the dance the school custodian stumbles into the bathroom with a fatal wound and then one of the teachers tries to attack her with a sword. Harper is able to fight him off with abilities she never knew she had! When things settle down, Harper learns that she has become a Paladin charged with protecting the life of David, a school reporter with whom she has always had an argumentative relationship. Will it be possible to fulfill her mystical duty to David, save the world from the doom that is promised at the upcoming ball, AND maintain her status as the perfect girlfriend and belle? Nothing too deep happening here but a good choice for something light but not so light it provides no fun. I'm sure I would appreciate the Southern setting even more if I were a belle myself but it seems to me that Hawkins did a good job of presenting the south in a stereotypical but not demeaning way. The aunties and the owner of the tea shop are a hoot and the way the town rallies at the ball is great as well.